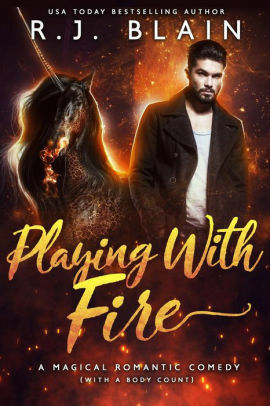 I purchased a copy of R. J. Blain‘s Playing With Fire. Working as the only human barista at a coffee shop catering to the magical is a tough gig on a good day. Bailey Gardener has few options. She can either keep spiking drinks with pixie dust to keep the locals happy, or spend the rest of her life cleaning up the world’s nastiest magical substances. Unfortunately for her, Faery Fortunes is located in the heart of Manhattan Island, not far from where Police Chief Samuel Quinn works. If she’d been smart, she never would have agreed to help the man find his wife. Bailey found her, all right—in the absolutely worst way possible. One divorce and several years later, Bailey is once again entangled in Chief Quinn’s personal affairs, and he has good reason to hate her. Without her, he wouldn’t be Manhattan’s Most Wanted Bachelor, something he loathes. Without her, he’d still be married. If only she’d said no when he asked her help, she might have had a chance with him. While her magic worked well, it came with a price: misfortune. Hers. 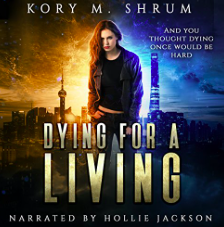 When Quinn’s former brother-in-law comes to her for help, he leaves her with a cell phone and seventy-five thousand reasons to put her magic to the test. However, when she discovers Quinn’s ex-wife is angling for revenge, Bailey’s tossed in the deep end along with her sexiest enemy. This is one of the more disappointing books I’ve read lately, since I think it could have been so good! Instead it is too over the top and unfocused. If Blain had had an editor that was willing and able to sit her down and say, “You’ve abandoned your plot in favor of all this sarcastic silliness and it’s not working,” this book could be five-star worthy. Because Blain really can write. But what the reader is actually given is a good start, and then inconsistent plotting, almost no world-building, little to no character development and far, far, far too much snarky repartee. Repartee (as much as I love it) is supposed to enhance a story, not be the sole content of a book! What’s more, I don’t think a lot of it held together. We’re told Bailey is unsociable and has no friends. But we see that she does just fine in society and has a whole lot of people who obviously care for her. We’re told she hates Quinn and he hates her, but it’s immediately obvious that neither is true and Bailey would have to be a lot stupider than she’s present to not realize this. Etc. Etc. Etc. All in all, I wanted so much more than this book delivered. I want what this book promised. I want what this book had the potential to be. 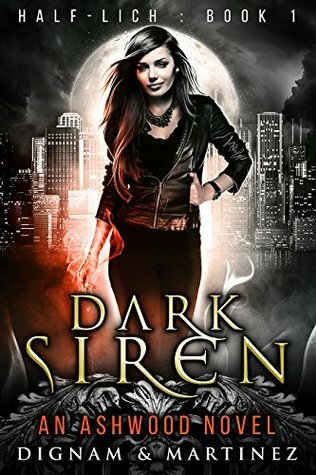 This entry was posted in books/book review and tagged book review, fantasy, slap stick, unicorns, urban fantasy on March 19, 2019 by Zarah Robinson.